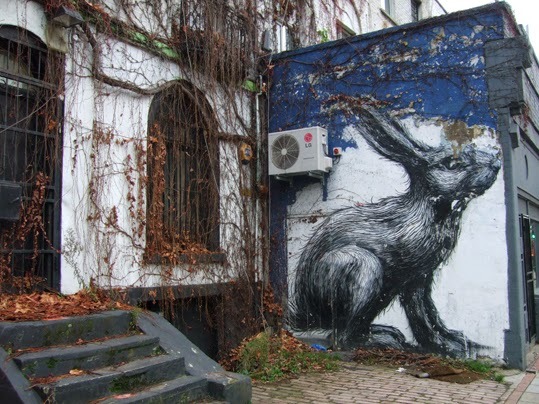 You don't get many wild hares in London, but here's one from East London street art. Although I took the photo above back in December, I'm sharing it now, on the last day of March, when the Mad March Hare gives way to the time of the tame Easter Bunny. I would imagine that by now the brown leaves are gone and those wall vines are starting to look green again.